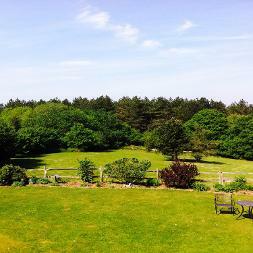 Bramble Hollow self-catering accommodation in a country setting, overlooking picturesque fields and woodland in the heart of West Sussex countryside. With the historic town of East Grinstead nearby, country walks and National Trust properties to visit, Bramble Hollow is the perfect place to stay all year round. 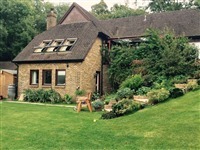 Bramble Hollow accommodation is an annex attached to the owners’ house and open all year round. The accommodation is at ground floor level with an ramp access and onsite parking. It consists of one double room and one single room (suitable for 1 adult or 1-2 children), the double room has a double bed, settee, TV with a DVD player, radio with a CD player. The kitchen has a dining table, fridge and cooking facilities and the bathroom suite includes an electric shower in the bath. There is access to the owners garden for rest and relaxing with a Barbecue to use at your leisure. Bramble Hollow is like a home-away-from-home. All bed linen and towels, t-cloths are provided, Travel cots and high chairs are available on request. Along with a welcome basket, which includes free-range eggs from the owners’ hens. Well-behaved dogs are welcome by arrangement and there is an adjoining field to the property for exercise or walks from the door. 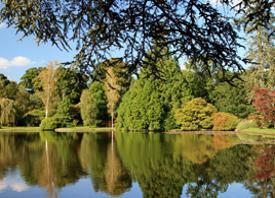 As well as many walks available in the area, there are several National Trust properties close by and attractive gardens open to the public. The South of England Showground is approximately 3 miles from Bramble Hollow and the picturesque town of East Grinstead is 5 miles away – with a good variety of shops, a small museum, cinema, Waitrose and Sainsbury’s and a variety of restaurants and takeaways. There are excellent pubs with restaurants in the nearby villages of West Hoathly and Ardingly. Bramble Hollow is ideal for couples or families wishing to explore this beautiful area and relax in the West Sussex countryside. Prices range from: Prices for 2019: £280 per week or part week (min 2 nights) £45per night. £50 deposit is required to secure your booking, with payment in full 1 week before arrival. Arrival time from 3pm. Departure 10am. Parking is available onsite.